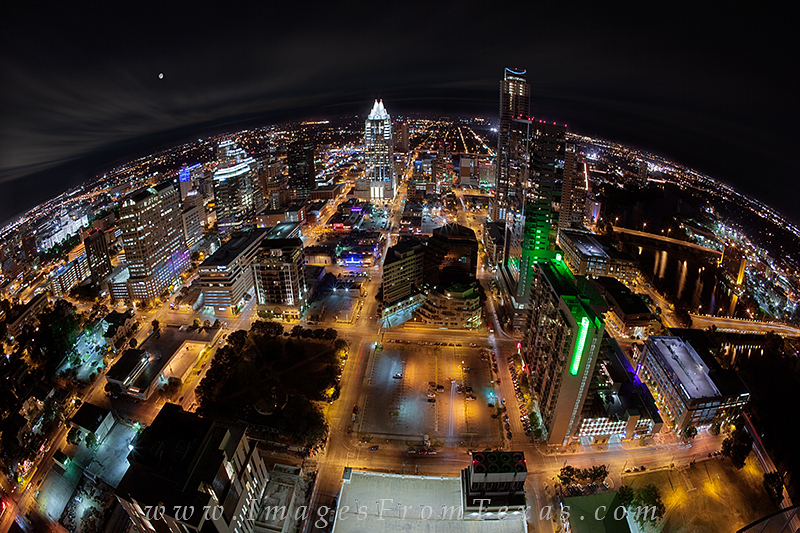 From 44 stories high, this is what the skyline of Austin, Texas, looks like through a fisheye lense. Taken at night from the 360 condos, you can see the Austonian and Frost Tower as well as the traffic of downtown. Photo © copyright by Rob Greebon.